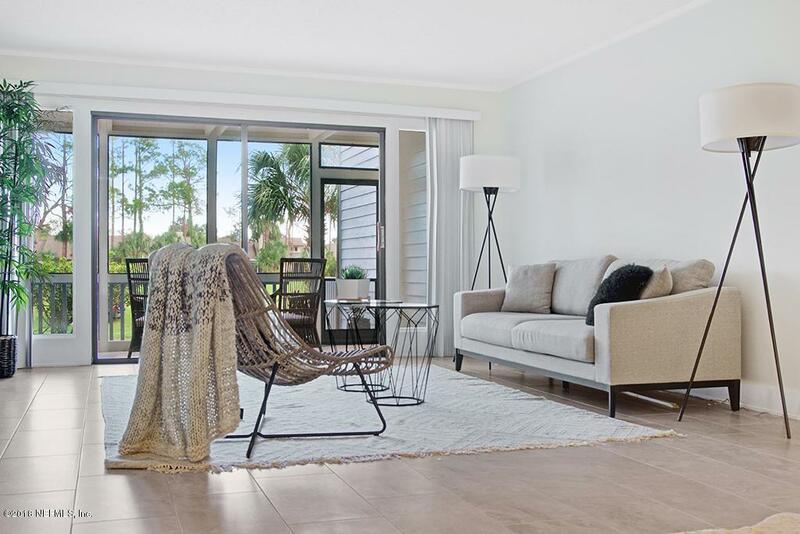 This beautiful two story condo has been completely renovated with all new materials and appliances! 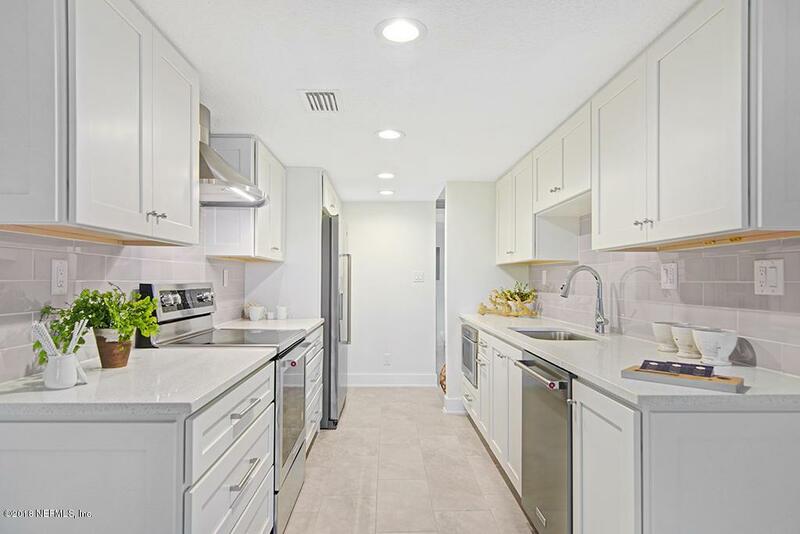 The kitchen boasts all Kitchen Aide appliances with a modern drop in microwave and decorative stove hood.Two upstairs bedrooms have attachedbathrooms with all new materials, A half bath is conveniently located on the first floor. Tiled living and kitchen areas on the first floor and soft carpeting complements the upstairs bedrooms and stairs.The first floor laundry room includes a new washer and dryer. 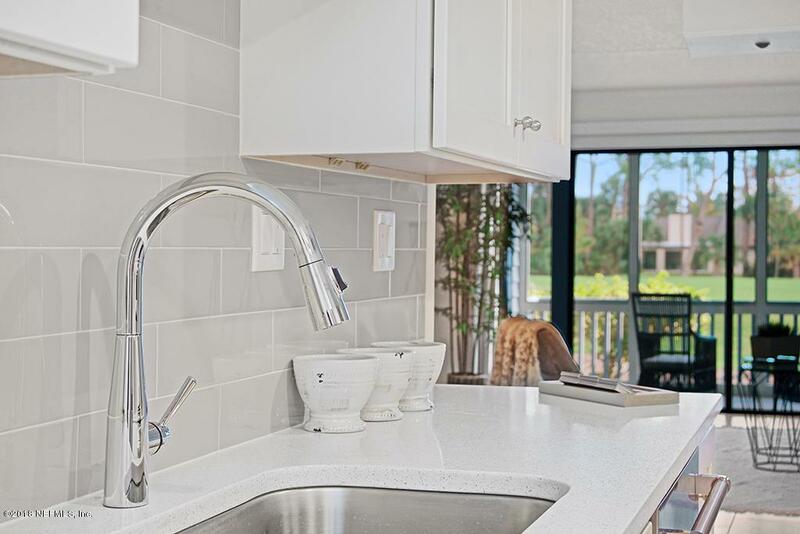 This unit looks out to a beautiful view of the outstanding Sawgrass Golf Course and can be enjoyed also from the screened porches located on the first floor and off master bedroom. Parking in front of unit.